When I start to write about Community, words and feelings crowd into my mind. The short story by Ernest Hemingway, “A clean well-lighted place”, a Buddhist prayer about sangha taught to me long ago. I think of my beautiful community here in the foothills of the Sierras, and I think of our larger community, in which we are inextricably intertwined – the world with its sufferings and wealth, the environment with its stresses and blessings. The bakery has to do with all of this. On the most basic level, I have wanted to bakery to provide a moment of comfort and nourishment in someone’s day – to be that “clean, well-lighted place”. A place of quiet and calm, a place of camaraderie and connection. In a larger sense, to have the bakery be a community hub. The best compliments the bakery receives are the comments on its usefulness to our little community here in the foothills, as a place where friends know they will meet each other, and meet new friends, get to discuss ideas, or just sit comfortably and read the newspaper in the swirl of activity that is their community. 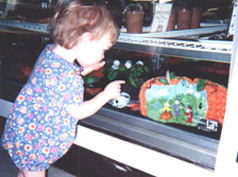 It has always been important to me that the bakery be a welcoming environ for everyone, people from all walks of life. For instance, I love seeing the Bible study group sitting next to the couple with dreadlocks, next to the writer working on his next book, and the artist sketching the ever-changing subjects before him. I love seeing the teachers and the doctors, and the kids at the kid’s table. I am honored by their choosing the bakery to call their community.